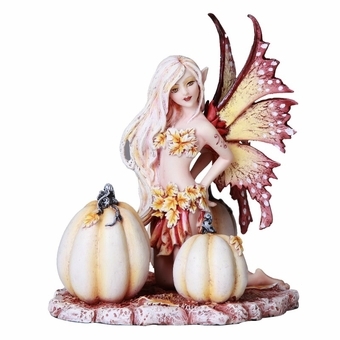 This lovely pixie wants to brighten up your autumn days! 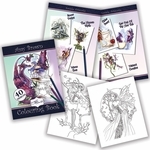 The fairy figurine is based upon the awesome artwork of Amy Brown. The fae kneels next to some white pumpkins. She has wings in shades of red, orange, and white, and her outfit is comprised of fallen leaves! A great way to add some magic to your fall decor. Size: 4 3/4" x 5 1/4" x 5 7/8"